From now until September 30th, 2016, Siborg is offering a 10% discount on all their devices in the LCR-Reader Store and Amazon sales channels. 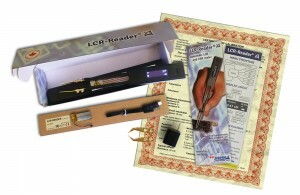 This sale includes all of LCR-Reader and Smart Tweezers devices and task kits, as well as other test tweezers devices, such as the SMD Multimeter Test Tweezers, LED Test Tweezers, and LCR-Reader Probe Connector. This sale includes the new Smart Tweezers with Bluetooth that allows users to remotely record their measurement results in real time. Also included is the LCR-Reader Pro task kit that includes a pre-calibrated LCR-Reader, NIST Traceable Calibration Certificate, spare battery, extra bent tweezer probes, wall charger and manuals. Visit the LCR-Reader Store, Amazon.com, Amazon.co.uk or Amazon.ca for your chance to get Siborg’s devices at a discount from now until September 30th, 2016. Smart Tweezers ST5S-BT allows users to remotely record their measurement values in real time. Siborg is now offering the Bluetooth enabled Smart Tweezers ST5S-BT in the LCR-Reader Store. Based on the ST-5S model, the new Smart Tweezers with Bluetooth allows users to remotely record their measurement values in real time using computers or mobile Apps. This model offers the same features and functions, including the 0.2% basic accuracy, as the ST-5S. When connected, ST5S-BT opens a virtual serial port to send data over in a string of comma separated values. This data can be saved into a file or database depending on the receiver software used. Siborg is offering two separate packages for this model: Smart Tweezers ST5S-BT with Bluetooth Receiver Stick which is essential for using the device with computer, and the Smart Tweezers ST5S-BT without the receiver stick for mobile only connections.